A joint calligraphy and painting exhibition, as a part of the 17th Pingyao International Photography Festival, was held in Pingyao county from Sept 19 to 25. 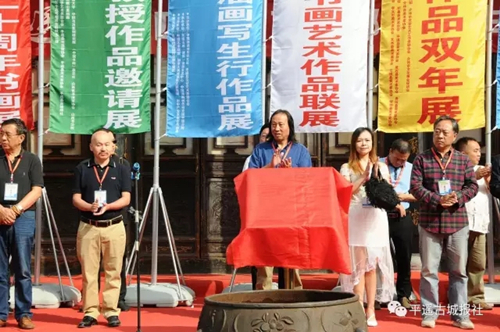 There were 13 branch exhibitions, including one commemorating the 20th anniversary of Pingyao's selection as a UNESCO World Heritage Site, and individual exhibitions, with 734 calligraphy pieces and paintings on display, including traditional Chinese artwork. Taking advantage of the platform that the international photography festival offered, the joint exhibition aimed to establish a platform for artists and photographers to communicate and learn from each other as well as further the combination of traditional Chinese arts with modern painting and photography. 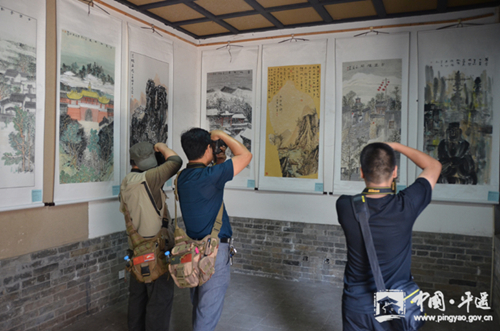 The joint calligraphy and painting exhibition of Pingyao International Photography Festival has been held for the past 14 years with 82 branch exhibitions being launched so far.